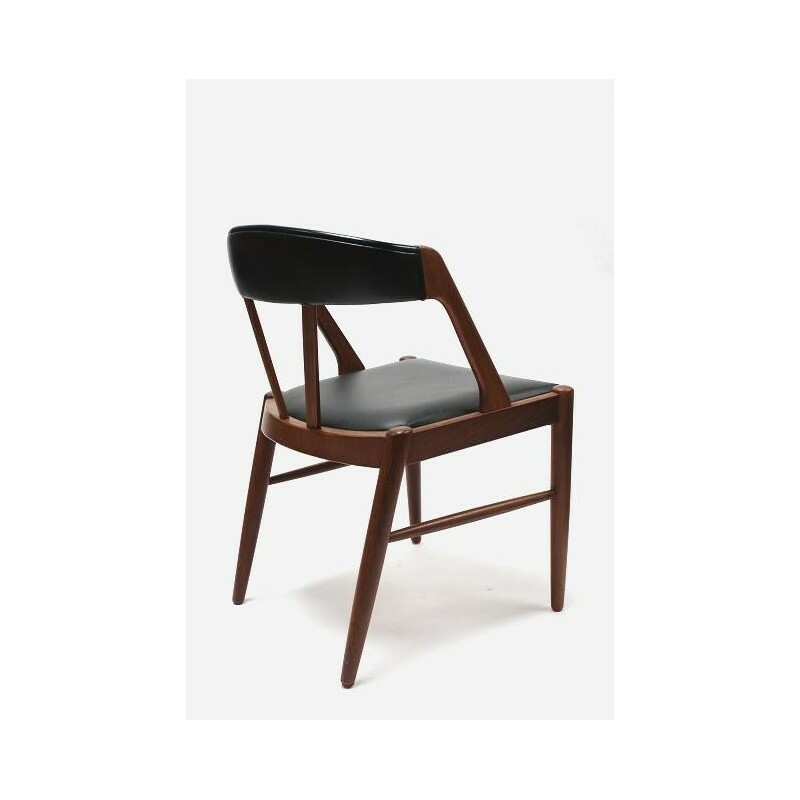 Nicely designed Danish design chair ( desk chair). 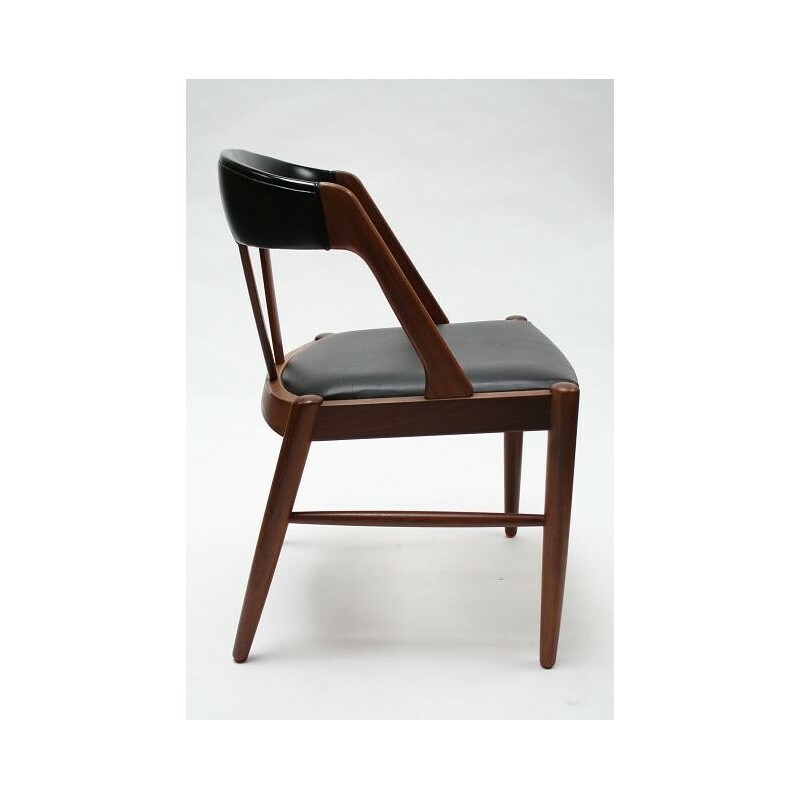 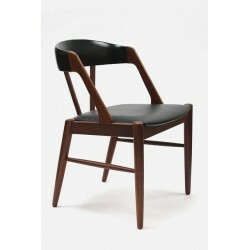 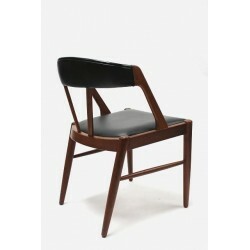 The chair is made of teak and has black imitation leather. 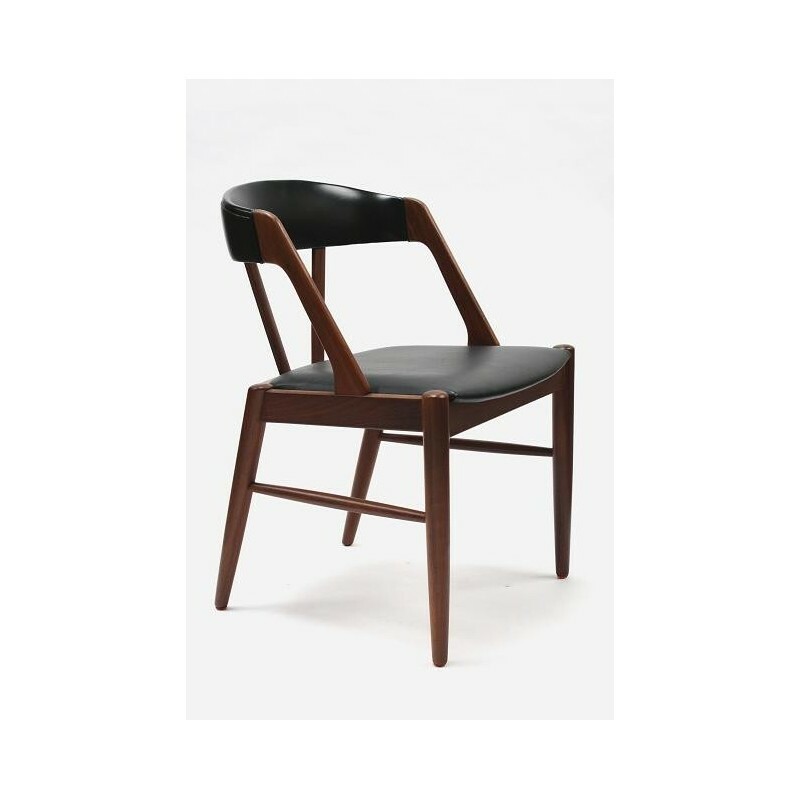 The chair is in good condition. The size is 50.5 cm W / 42.5 cm SH / 75 cm H.